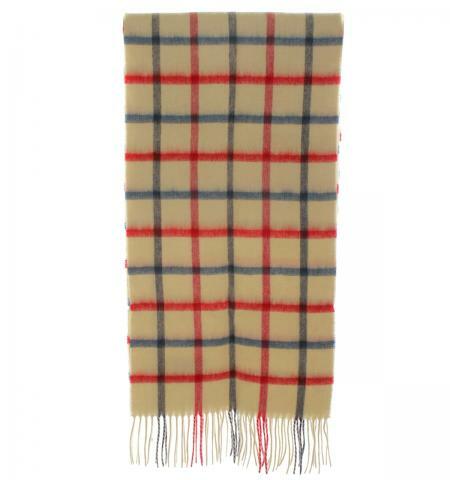 Barbour Bay Tattershall Lambswool Scarf in cream, red and navy. Barbour Bay tattershall scarf made from 100% lambswool. Rolled fringe at each end. Scarf available in cream with navy and red check as shown. Barbour's advice is that this lambswool scarf be dry cleaned only. This lambswool scarf measures 30cm x 180cm.SALE!